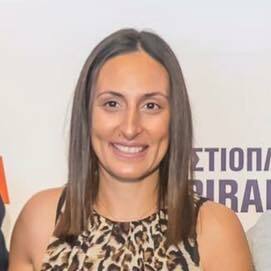 As an active athlete and Bronze Olympic Medalist in Sailing (Beijing 2008) my life has been dedicated completely to sports, my studies and my contribution to the Hellenic Youth Society until now. As much as I am enjoying working and competing as an athlete, I recognized at first hand before 8 years the price athletes must pay to have professional career. Unfortunately, I also see nowadays many athletes and youth who are routinely misguided by competent bodies (clubs, federations, Sports and Education Ministries). Seeing these misfortunes inspired me to get involved, learn and act to improve this issue. My background allows me to understand the needs of Youth and armed with a passion for sports I possess energy, enthusiasm and effectiveness to those who want to compete and succeed in all facets of their life.